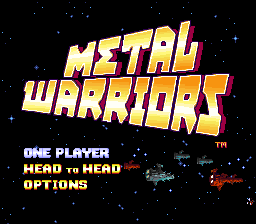 Play Metal Warriors online with Super Nintendo browser emulation for free! 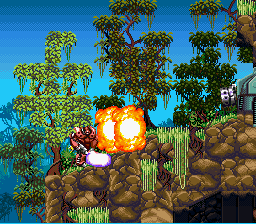 Metal Warriors (SNES) game rom is loaded with features in our flash, java and rgr plugin emulators. Nothing to configure, we've done it for you! Knock out an outpost prepare for conquest! Oh I don't know where to begin with this master piece for the SNES(Super Nintendo Entertainment system) . 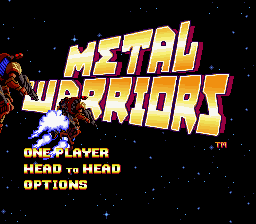 Metal Warriors,being that it was published by Konami I didn't really have much enthusiasm to give the game a try because I've never heard of the title nor its franchise so I assumed it was a smear on Konami's resume of generally good games, boy was I dead wrong. Metal Warrior's surpassed my expectations with a good blend of great action sequences. gameplay and story. Before playing, judging off the box art and title I assumed this game was going to be one of those mindless shooting games where you just shoot and kill and run thru it with ease without really explaining or having a story to explain what your doing and why your doing it, well in Metal Warriors on some missions your just rescuing a hostage while in other missions your flying a ship, what I'm getting at is your not just mindlessly shooting and killing nor is it where ever level/stage your just shooting and killing thru the level with ease. 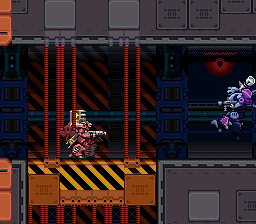 The graphics in Metal warriors is what you'd expect from any other game on the SNES sprite wise, you can easily make out the sprites and what they are supposed to be, but what really makes this game stand out graphics wise is the amazing cut scenes. Metal Warrior's cut scenes are basically like watching an amine with really good artwork you can tell it wasn't computer generated. Most of , if not, all scenery as in backgrounds and level designs pretty much are hand drawn in a dark futuristic anime style like design which really fits the over all mood and feel of the game, the style of the art is so well done and pieced together it makes one feel as though they are right there as the story is unfolding. To sum it up simply the art work and design of the game is eye candy especially to the cyperpunk/dark futuristic anime fans , one can truly appreciate the simplicity and hand drawn feel of it. For Sound Metal Warriors does fairly good by SNES standards, that being said there isn't a different soundtrack for every stage/level which honestly isn't that big of a deal to me. 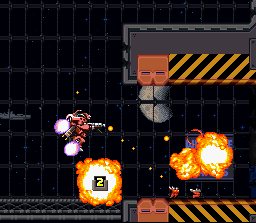 The soundtrack did however play a role in setting the tone and mood of the story in Metal Warriors especially during the cut scenes.During the stages/levels a fasted pace beat could be heard but given how quickly you would have to maneuver and aim and shoot the/a fast paced track was necessary to create that feeling of urgency and fast thinking. During the cut-scenes the background music really added that extra feel of realism to the game that kept you interested in the events that was going on and set the mood for the emotions the players should feel when going into the mission(stage/level) they are being sent on. 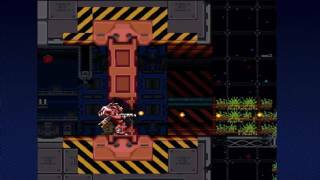 The addictiveness of Metal Warriors, well this is a tough one to explain. With Metal Warriors the addictiveness of the game lies in it's story, I really enjoyed the story and how the imagery and sound pieces the game together so nicely so I'm likely to revisit the game and play thru it again to experience how powerful imagery and sound can truly make or break a game and provide a overall great gaming experience. 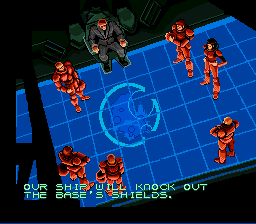 The story for Metal Warriors goes something like, the year is 2102 and your a pilot of a mech suit that works for the United government named Lt. Stone, your mission is to take down the enemy known as the Dark Axis , lead by their leader Venkar Amon. Metal Warrior's story is spread out across several levels with a different objective for each mission like rescuing a fellow pilot,gathering intelligence,defending a ship,capturing a mining factory etc. all spread out over various locations in space and some on earth. While the story isn't very long it's still very enjoyable and easy to keep up pace with, after all I'm a firm believer in quality over quantity and I see no reason to drag out a story longer than it has to be just for the sake of making a longer game with that said Metal Warrior's story is long enough to hold you interested an it never gives you that feeling of "why am I doing this again" or "wait how/why am I here or how did I get to this point". 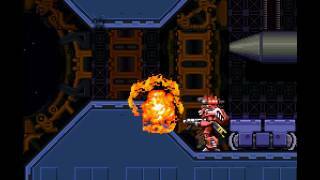 For the depth in Metal Warriors, I wouldn't judge it by how big the game is, I'd judge it more so by the different power ups and items and suits in the game as well as the different game options. 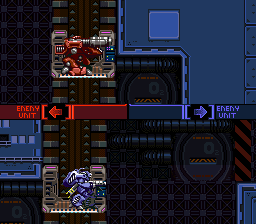 In Metal Warriors you can play the game in single player mode or multiplayer mode, their are six different mech suits you can play as which are Nitro, the havoc,the prometheus, the spider, the ballistic and the drache, and you can use/switch off between the different suits in the same stage/level(if you find them).In addition to that you can abandon and or get out of your mech as you see fit(anytime you want) after all the mech suits do get damaged and can be destroyed. In Metal Warrior's there is also a number of really useful power ups and items that really come in handy during the game some of these power ups are rocket launcher,grenade launcher, mine layer , and what appears to be a power up that messes with the gravity in the game.When outside the mech suit you control Lt.Stone and he's got a small gun and a mini jetpack but keep in mind he's smaller and can fit into smaller places. So while the game might not be long and lengthy the different suits and multiplayer option as well as the various items and power ups add more depth to the game while providing alot to do, I guess it all boils down to how you choose to play the game, the game is what you make of it. 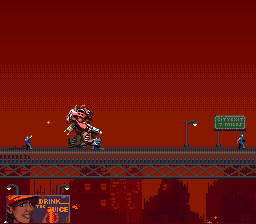 When it comes to the difficulty of Metal Warriors, I feel as though Metal Warriors was fairly challenging. It wasn't just another game I could hack, slash, shoot and run my way thru it. Due the the different objectives/missions on each stage I didn't really find myself easily able to breeze thru the game. The games controls are fairly easy but what makes the game hard is its not really a set path, you have to navigate and find your own way thru stages/levels, plus its free fixing movement so you can move anywhere on the screen and so can your enemies and best believe they are shooting at you from multiple angles and usually in groups of 3-5 so you have to have quick reflexes. 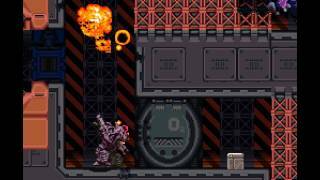 Overall Metal Warriors is honestly a really underrated game and I feel it deserves a little bit more attention and recognition.Metal Warriors is easily the best game I've played in the genre of futuristic/mecha and could possible be one of the top 10 games released for the SNES . 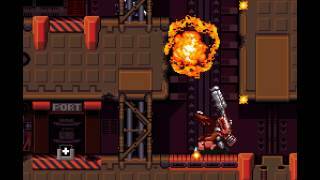 I would recommend Metal Warriors to/for anyone who is looking to try something new and who enjoys a challenge and gameplay different what to expect from the usual first person shooter perspective. Get deployed in your own giant mech and battle through nine linear levels against the evil Dark Axis forces. Eject and switch robots, piloting one of the six "Battledroid" suits; but watch out because there are no save games and no continue codes.For the best of Metal Warriors, grab a friend for some head-to-head combat in the PvP mode. The variety of robots and levels means the matchups stay surprising and interesting. It's a neat game but the control mechanics are weird and awkward. Certainly take some time getting used to. Zone of enders 1 and 2 for ps2 were kind of like the sequels to this game. have to have a remake. This game if fiya... One of the best. How do you get out of the damn bot? 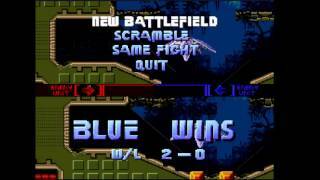 One of the best SNES games ever!